Rare reverse label, or left-handed bat. Outstanding bat in near mint condition; Light wear suggest this bat saw little action. This is the second center brand produced by JF Hillerich & Son. This 33" bat is from the 1900/1905 era, and weighs in at 41oz, likely a pro model bat. 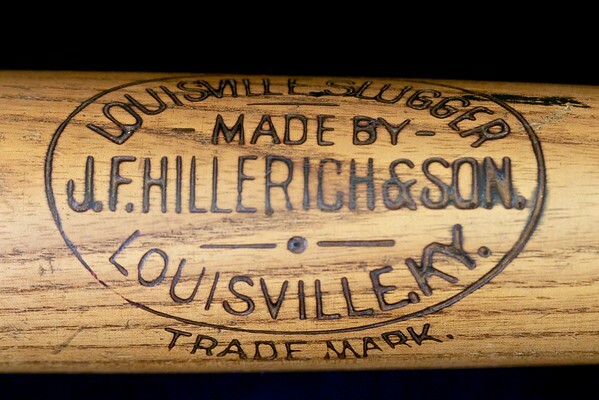 Left Handed bats were made by Hillerich until the mid-1910's. Outstanding bat in near mint condition; Light wear suggest this bat saw little action. This is the second center brand produced by JF Hillerich & Son. This 33" bat is from the 1900/1905 era, and weighs in at 41oz, likely a pro model bat. Most significantly it is a 'reverse label', or left-handed bat. Left Handed bats were made by Hillerich until the mid-1910's. Outstanding bat in near mint condition; This is the second center brand produced by JF Hillerich & Son. 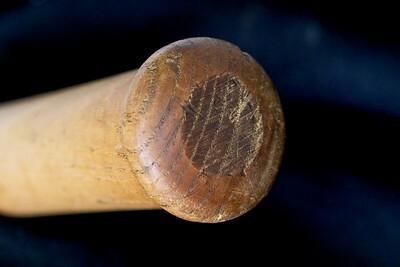 This 33" bat is from the 1900/1905 era, and weighs in at 41oz, likely a pro model bat. Most significantly it is a verse label, or left-handed bat. Left Handed bats were made by Hillerich until the mid-1910's. Outstanding bat in near mint condition; This is the second center brand produced by JF Hillerich & Son. This 33" bat is from the 1900/1905 era, and weighs in at 41oz, likely a pro model bat. Most significantly it is a reverse label, or left-handed bat. Left handed bats were made by Hillerich until the mid-1910's. The knob is fully intact and free of chips. Outstanding bat in near mint condition; This is the second center brand produced by JF Hillerich & Son. This 33" bat is from the 1900/1905 era, and weighs in at 41oz, likely a pro model bat. Most significantly it is a reverse label, or left-handed bat. 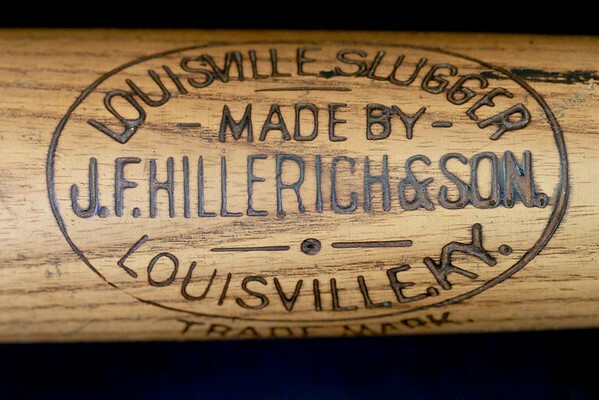 Left Handed bats were made by Hillerich until the mid-1910's. 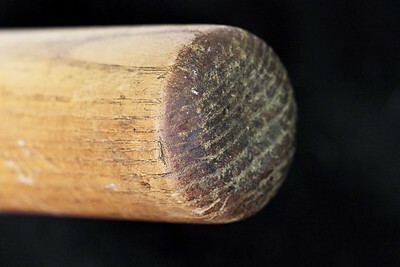 The barrel is solid with no checking on either side of the bat.